Aluminium Venetian Blinds provide a unique look to your window. We stock a large variety of colours, widths and finishes including matt, gloss and metallic effects. Venetian blinds give versatility, allowing you to select the level of daylight or privacy that you require. 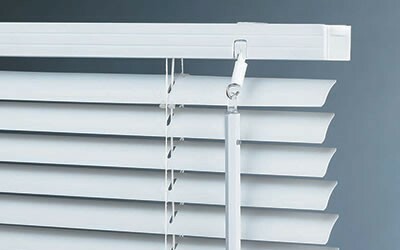 All Venetian blinds are supplied and fitted adhering to child safety regulations.